Meanwhile busy runways, is time to take a look back and remember some of the great models that until not long ago ruled the international catwalks. 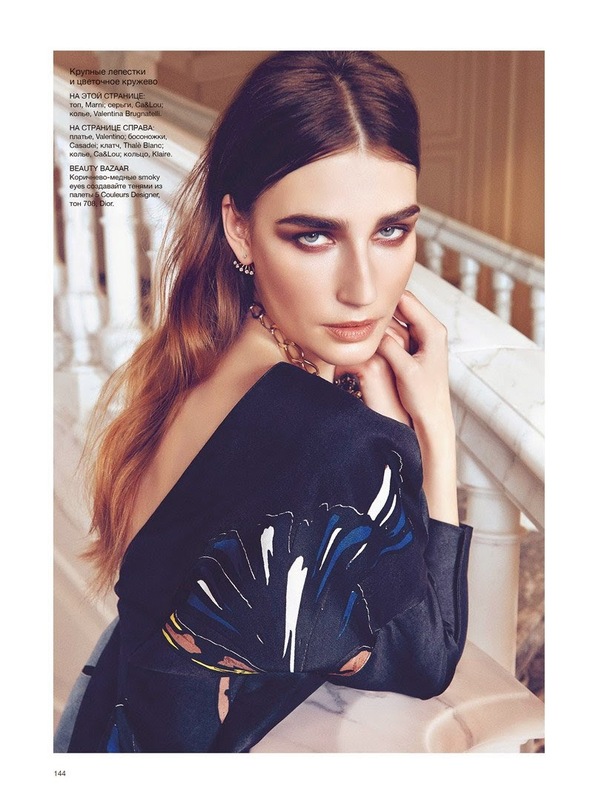 It is the case of Eugenia Volodina, a Russian beauty who has been (and still is) one of the most important models in the scene. And is that I recognise that this girl look, well, its image in general, is enigmatic and captivating, sure that anyone remembers it in advertising campaigns as of Bvlgari, Yves Saint Laurent or the perfume campaign Valentino v. But without a doubt, where you feel like a fish in the water is on the catwalk. Eugenia Volodina He was born in the Russian town of Kazan in 1984. Road 25 years, Eugenia has done it all in the world of fashion. In fact it takes 2 years devoted only to editorials in magazines, since he has decided to take a break on the catwalks. His first contact with the world of fashion, took place in 1998, only 14 years old. Then arose to a beauty contest in her hometown that failed to win. Eugenia not threw the towel and would continue trying to fulfill his dream. Participate in various contests organized by Russian model agencies. But it would not be in Russia where they realized the talent of Eugenia, but in Paris. And is that the Parisian agencies know where put their eyes, and you know, Russia is an inexhaustible quarry of new talent, so they began to ask for references about this spiky light eyes girl. 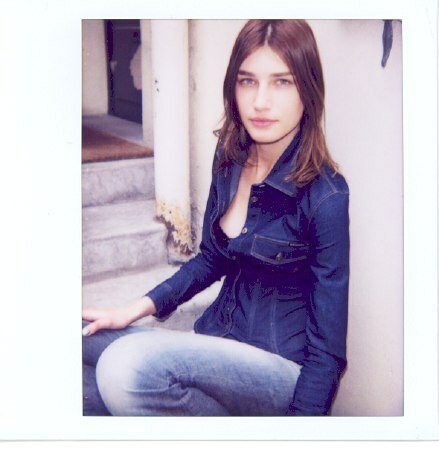 In 2000, be invited to Paris by the Agency Viva. Thus began the dream of becoming professional model Eugenia. Little by little would go tanning on the catwalks, beginning to parade for not so well known designers such as b michael, Mark Montano and Markus Lupfer. But it was not until 2002 when really begin to emerge the phenomenon Volodina. Participation in the parade of YSL Rive Gauche It earned him not only to know but to sign its first millionaire contract with YSL becoming its image of cosmetics. Perfect skin of Eugenia was without a doubt the best claim. But wouldn’t it be only Yves Saint Laurent who put their eyes on it. Also Gucci in 2002 claimed their services for their fall-winter campaign, in a promotional campaign photographed by Mario Testino. Eugenia’s popularity began to rise rapidly. With just one year of experience on the catwalks, already it would open and close parades as of Gucci o Jil Sander in Milan. 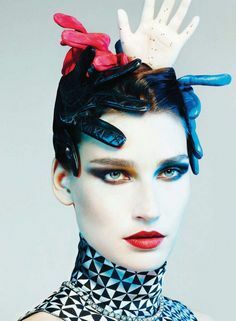 At the same time, would also begin their first appearances in major publications, including the cover and editorial in the Vogue Italy in April 2002, of the hand of Steven Meisel, that according to the own Eugenia confesses, allowed him to upload the necessary to be able to succeed subsequently cache. From that moment, Eugenia become all a reference about the catwalks with more than 50 parades season, at the level of the top most important models. Including its parades of Haute Couture, where he was a fixed of the parades of Valentino, Dior and Gaultier (your favorite Designer). His progression on the runways would be proportional in the world of the image and advertising. Countless promotional work, but making a brief summary we can find jobs for Salvatore Ferragamo, Hermes, Escada, Dolce & Gabbana and Fendi, photographed by Karl Lagerfeld in 2004, Valentino y Oscar de la Renta in 2005, Celine in 2006 and Jean Paul Gaultier in 2007. In 2006 he was also image of Elie Tahari that resulted in this spot for more than 3 minutes of Eugenia Volodina in its purest form. One of the best-known works of Eugenia Volodina was, as I told you, this perfume spot Valentino v in 2005, here we see it in next to her beloved Valentino perfume promotion. Also became one of the now legendary angels of Victoria ’ s Secrets, parading in 2002, 2003, 2005 and 2007. From 2007 his work rate drops considerably both in advertising campaigns and on the runways. And is that the fact of winning in a victory parade ’ s Secret the same thing in a season full of 50 parades, influences, and much. His last appearance on a walkway was in the autumn-winter 2007 parade for Jean Paul Gaultier. Since then only dedicates itself to appear in countless covers and editorials, but still retains the aura of someone who has been in the fashion world and has all the class and elegance on a walkway they already wanted for Yes, many recent tops.